Everyone is welcome at Weybrook Park Golf Club. Set in beautiful and picturesque surroundings anyone would believe that you are miles into the countryside, not just five minutes from the hustle and bustle of Basingstoke town centre. Although ours is a challenging golf course, the friendly Clubhouse facilities and informal atmosphere will combine to make you feel relaxed and welcome. 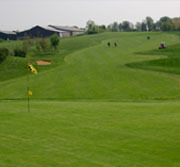 Come and admire the views over the countryside whilst enjoying a coffee, drink or meal in our modern Clubhouse. Whether you want to play our testing golf course, book a golf lesson, a Wedding or Conference meeting, we are sure that once you experience our hospitality you will keep coming back.